For the first time I can remember, I haven’t hated the summer weather this year. Sure, I’ve been counting down the days to fall because, well, fall is the best. But, this summer has been just lovely. There’s been a lot less hibernating on my part. Instead, I’ve been happily enjoying mild days and beautiful sunshine. Of course, regardless of the temperatures, I always enjoy all the fresh summer fruit. I somehow tend to end up with handfuls of different berries and a few stone fruits. 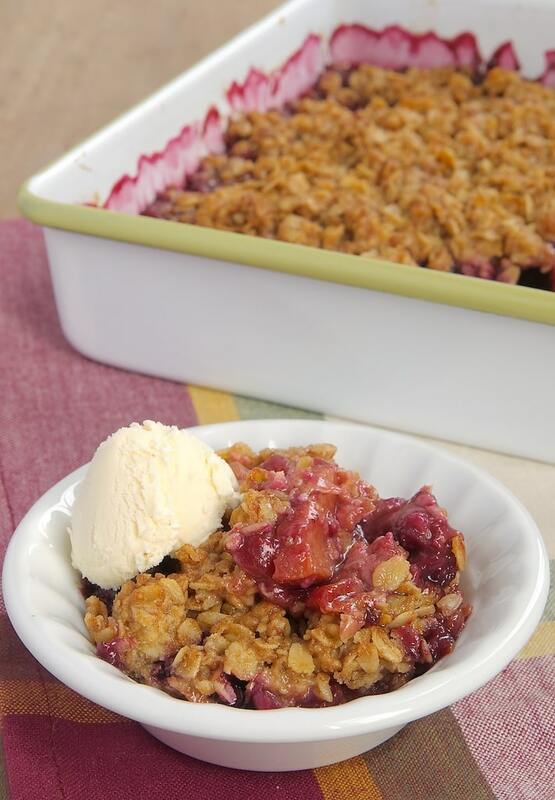 That is when this Summer Fruit Crisp happens. This is the kind of recipe that’s a staple for me. I love being able to throw this together quickly from whatever I happen to have in my kitchen. It’s a wonderfully simple and delicious dessert for when you need a last-minute dessert or for when you’re just craving a sweet, fruity treat. The beauty of this crisp is that you can make it with just one of your favorite fruits, use a combination, or simply gather all the fruity odds and ends you have. I almost always use blueberries and plums because they are two of my favorites. But, you can toss in raspberries, peaches, blackberries, cherries, or whatever else strikes your fancy. It will also happily transition to fall with apples, pears, cranberries, and such. 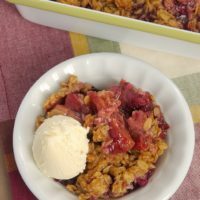 Once you have your fruits ready, just throw it all together, top it with a cinnamon-y oat topping, bake it, and then sit back and enjoy spoonful after spoonful of your warm, sweet, fruity, cinnamon-y, crunchy dessert. And, I highly recommend a scoop of ice cream on top. If you can bear to share, this is the kind of dessert that will be the hit of your summer gatherings. 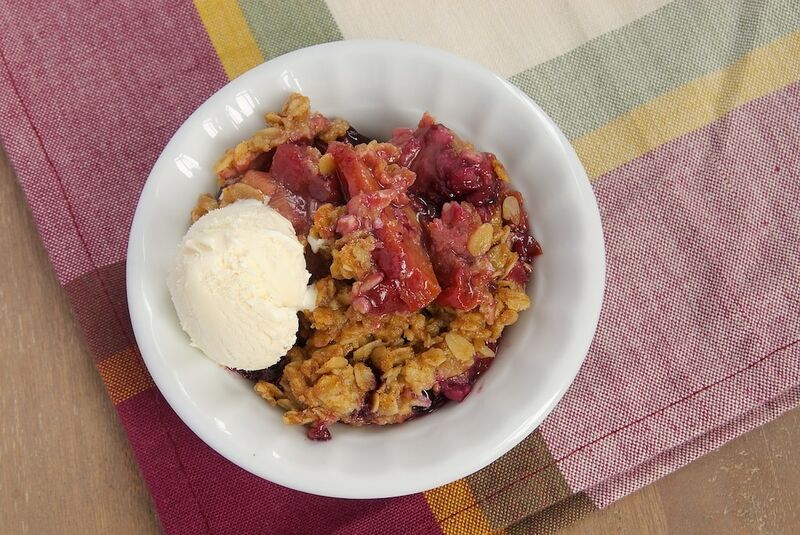 Gather all your favorite summer fruits for this Summer Fruit Crisp topped with a cinnamon oat topping. Preheat oven to 375°F. Lightly grease a 9-inch square baking pan. Combine the fruit, brown sugar, cornstarch, and lemon juice. Transfer to the prepared pan and distribute evenly. Combine the oats, brown sugar, flour, cinnamon, and salt. Add the butter and mix using a pastry blender or a fork until mixture is crumbly. Sprinkle the topping mixture evenly over the fruit. Bake 40 to 45 minutes, until the topping is browned and the fruit is bubbly. *Vanilla extract is a great substitute for lemon juice for a little different flavor.